Masters Hardwood has been installing and refinishing premium wood floors in businesses and residences throughout the Monterey Bay. Masters Hardwood prides itself on its commitment to customer service and its knowledge of the ever-diversifying wood flooring industry. In today's global marketplace, we realize that our customers are making more informed decisions about their wood flooring purchases than ever before. At Masters', our staff will assist you in flooring anything from a single room to a 30,000 square foot commercial property. We are confident in the training and expertise our staff brings to every project. 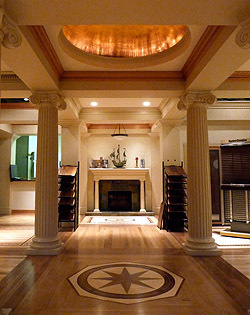 Picture your home with the beauty of wood floors from Masters Hardwood. The decision to install or refinish wood flooring should always be an informed one. If you are considering the purchase of wood flooring, either prefinished, natural or decorative, stop by Masters Hardwood Showroom and see for yourself how beautiful, practical and affordable wood floors can be.